Men's Expedition Jacket from Ouray features adjustable pull cord and cord-lock with two zippered pockets. 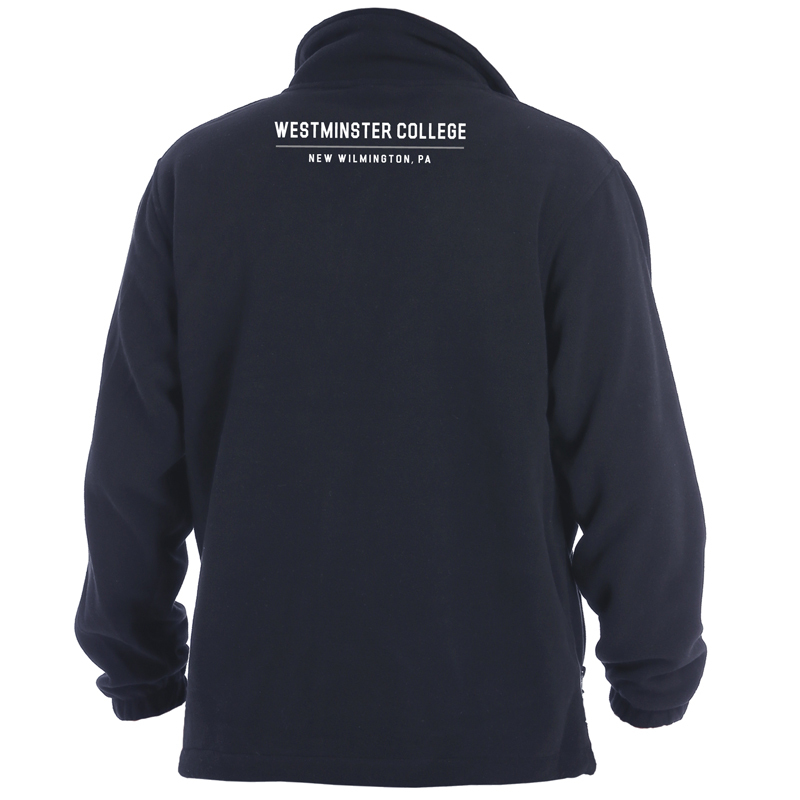 Westminster College embroidered in white centered on back and left front chest.100% polyester brushed micro-fleece. Available in Navy. Please select option for Men's Expedition Jacket-Navy. 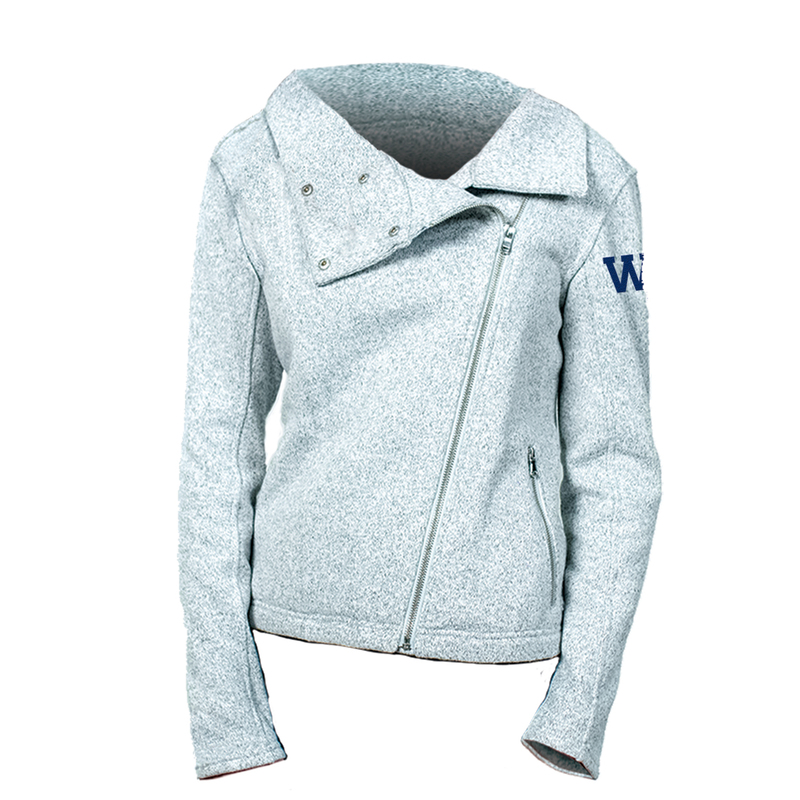 Ladies Luxe Jacket is constructed soft, fuzzy fabric. 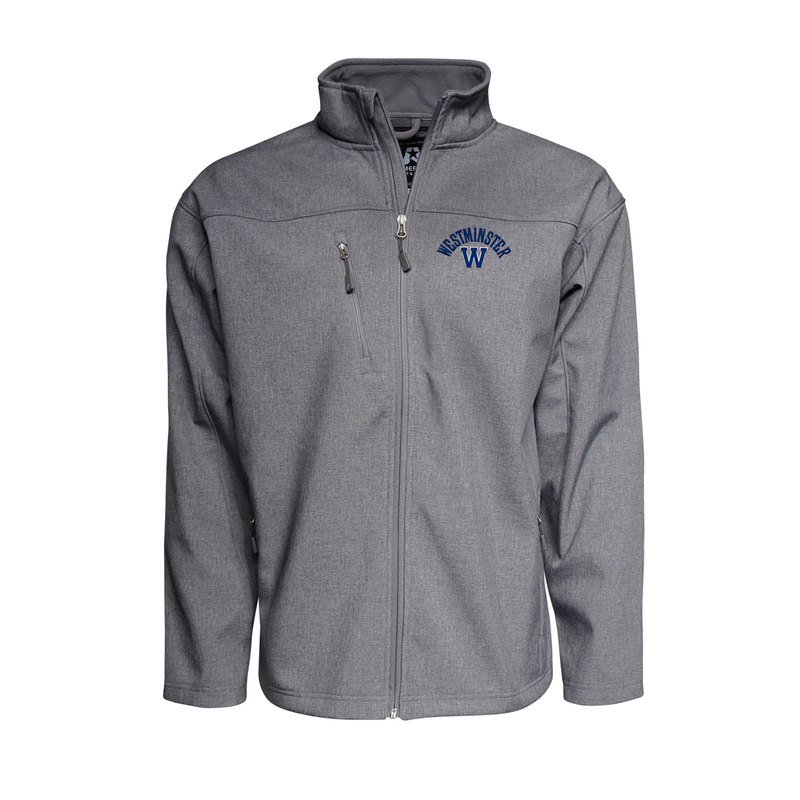 100% Polyester Micro Fleece. Available in Midnight Navy. Please select option for Ladies Luxe Jacket-Navy. 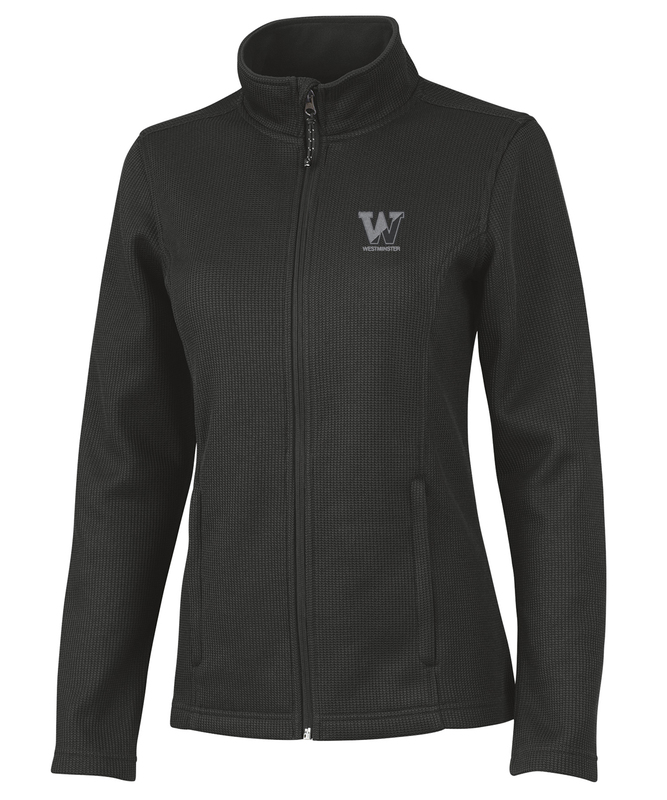 Boxercraft Ladies Full Zip Sherpa Vest is cuddly soft with embroidered Westminster College on left chest. 100% Polyester. Available in Black/White Sherpa. Please select option for Boxercraft Ladies Full Zip Sherpa Vest. Charles River Ladies Chatham Anorak is an updated classic meant to be taken with you wherever you go. Made from 100% Softex Polyester, this wind and water-resistant pullover is lined with a lightweight jersey and has a nylon sleeve lining for easy on/off. Navy/white stripe. 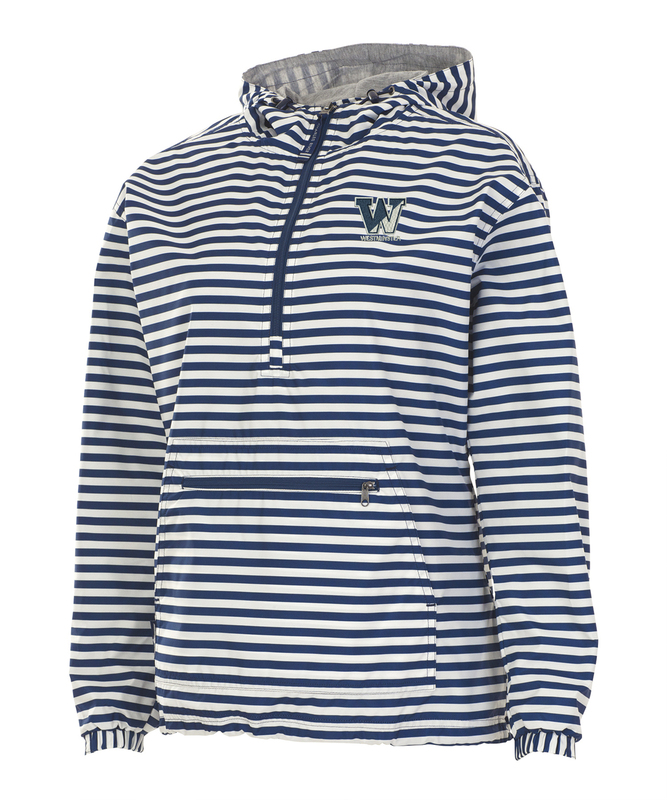 Please select option for Charles River Ladies Chatham Anorak -Stripe. Charles River Ladies Heritage Rib Knit Jacket is a full zip, mid-weight jacket, and has the look and feel of a sweater with the comfort of a soft shell. 100% polyester fleece. Available in Black. Please select option for Charles River Ladies Heritage Rib Knit Jacket-Black. J America Ladies Quilted Vest is lightweight featuring contrasting gussets with embroidered WC and Westminster on left chest. 100% Polyester. Available in Black with Charcoal Gray piping and gussets. 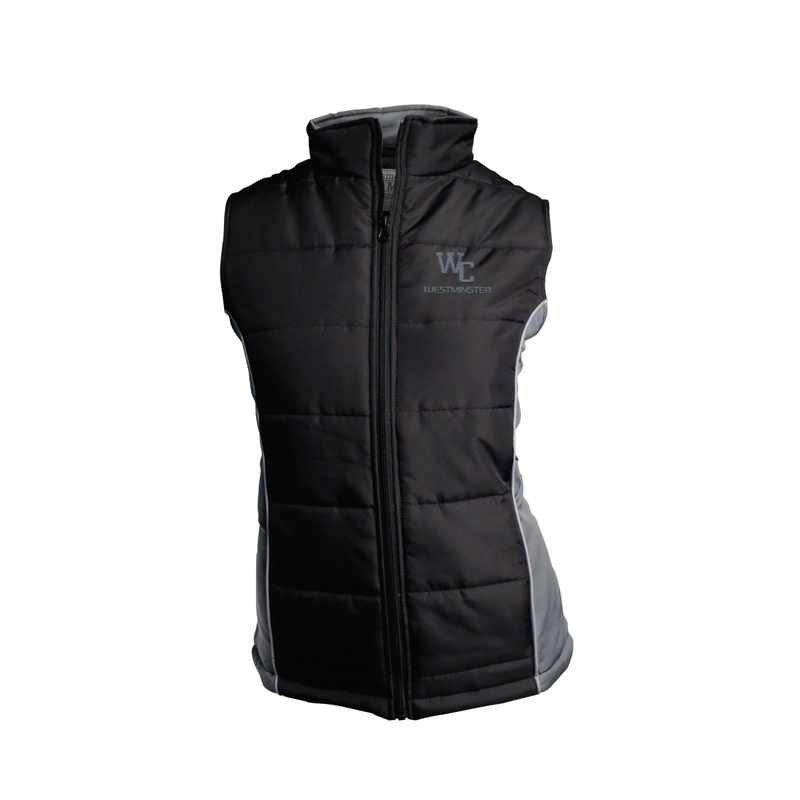 Please select option for J America Ladies Quilted Vest-Black. J America Men's Peak Jacket has polar fleece lining with wind flap along zipper and right chest zipper pocket. Navy embroidered "W" and Westminster on left chest. 100% bonded poly. Available in Smoke Gray. Please select option for J America Men's Peak Jacket-Smoke Gray. 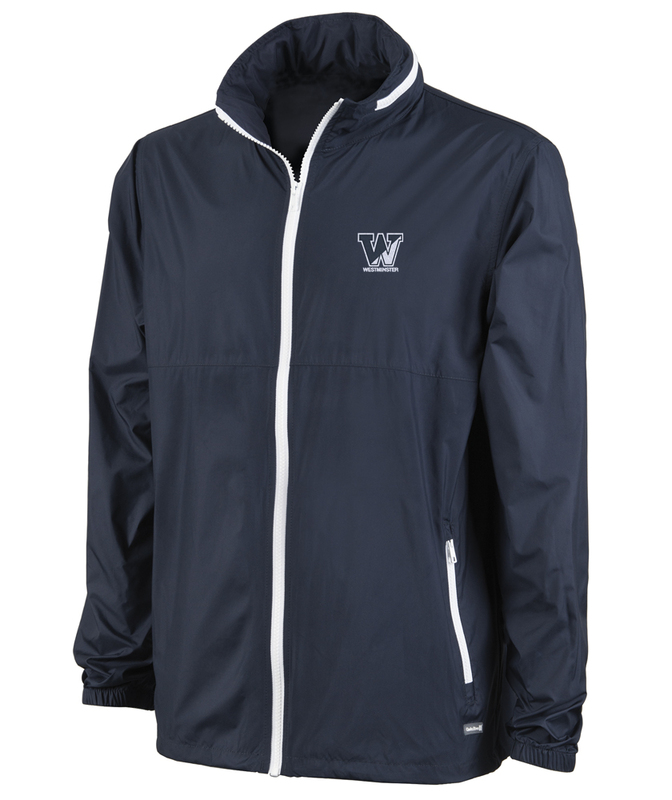 Charles River men's beachcomber jacket, with hidden hood, is ultra light and weather resistant. Available in Navy. Please select option for Men's Beachcomber Jacket.